The yellow glitzy glow coming from the sign on the outside of this famous hotel in the heart of London exudes glamour and style. And on the inside, well to be honest, it took my breath away. Ed and Stacey had chosen this beautiful location for an intimate wedding with those they love so much. 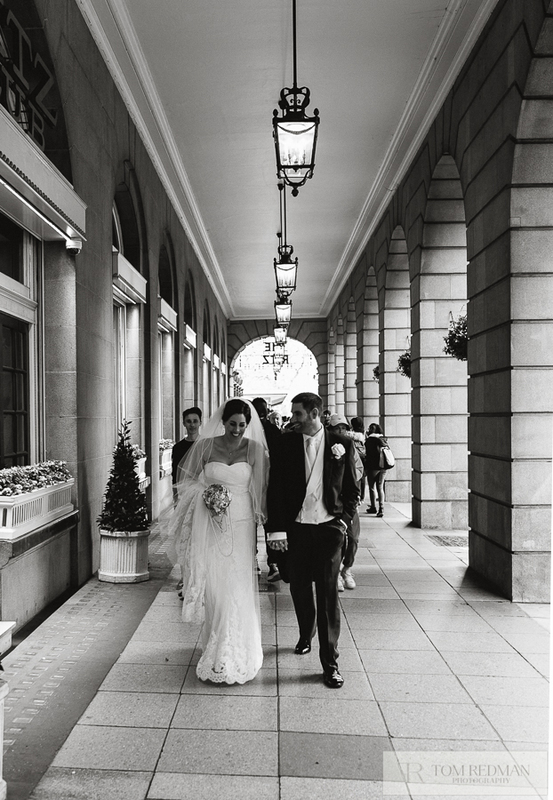 Having both worked in the city, London holds a special place in their hearts and having a wedding at the Ritz was a dream come true. The intimacy of the wedding meant they could really treat their guests: A string trio accompanied the aisle walk and later, The Wandering Hands, - an acoustic trio, set the atmosphere for the evening. The flowers were abundant and heavenly and the dining room looked nothing short of amazing. The chandeliers and candelabras gave a majestic, regal feel to the rooms. Being 'foodies' and wine lovers too, we drooled over their 5 course menu and the different wine specifically chosen for each course. It was just exquisite in every way. I just love how different, stylish and unique their wedding was. Stacey is a life and business coach and all you have to do is look on her website to know she has style. 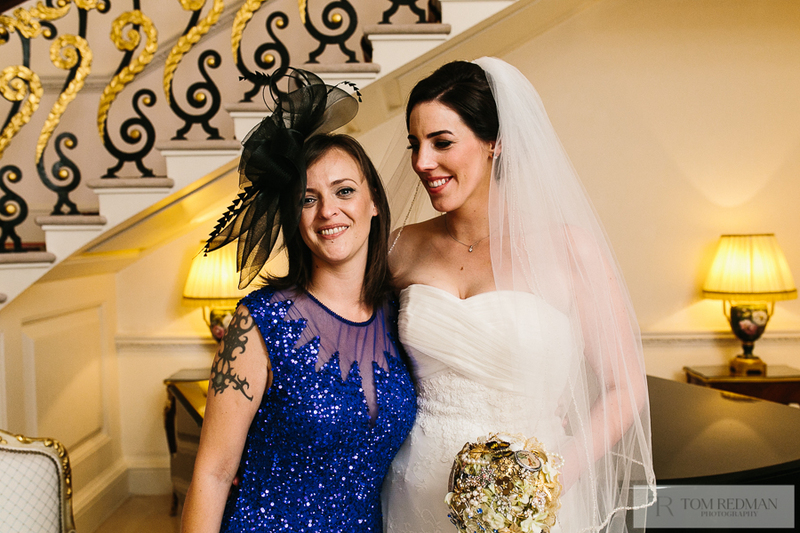 She wore a simply stunning dress from Emma Victoria Payne bridal wear, and held one of the most incredible and very different bouquets I have ever seen. Stacey's mum, a vintage and upcycle jewellery maker, used brooches passed down through the family and others they had collected to form the entire bouquet. Stunning. Stacey is elegant and graceful. On Saturday, she looked all that and more and Ed, well he is warm, fun and kind. He immediately puts you at ease in his presence. As a couple, there is electricity between them. They met on Match.com and have a beautiful appreciation of each other and what they have found. All of their choices on Saturday represented them - as a couple (even the Game of Thrones theme tune strummed out by the string trio!). They are the most lovely, kind and generous couple and it has been a real honour to get to know them. And what an honour to be there with them capturing it all. Thank you for having us you two! We loved the engagement shoot, the food after it and your incredible wedding!